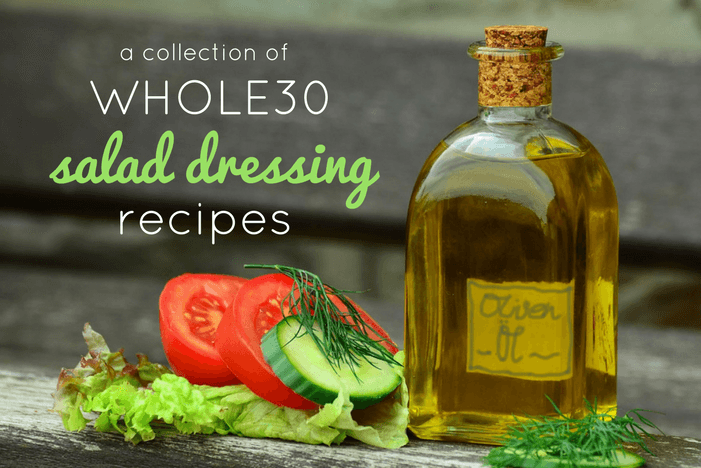 Whole30 Salad Dressing Recipes: Compliant Companions for Salads! If you're on Whole30, chances are you'll be eating at least a few salads. Dry salads are no fun, but with Whole30, the vast majority of store bought salad dressings are out. The good news is that you can make your very own Whole30 salad dressings to taste upgrade your salads! Here are a few of the most popular Whole30 salad dressing recipes! Who doesn't love ranch dressing? This recipe from the Whole30 website is perfect for re-creating your favorite store-bought ranch dressing. Medium. Not too difficult - it's just a matter of blending ingredients in a food processor for a few seconds. You'll need to pour the oil very slowly into the processor to get the emulsifying process correct. While this isn't too much trouble for most people, it can throw some folks off! You can find this recipe on the Whole30 website! This quick and easy balsamic vinaigrette dressing is perfect to keep on hand during your Whole30 program to splash on dry salads. It's also great for putting in a little container and taking on-the-go to restaurants or work. Easy. Not too difficult - it's just a matter of blending ingredients in a food processor for a few seconds. You'll need to pour the oil very slowly into the processor to get the emulsifying process correct. While this isn't too much trouble for most people, it can throw some folks off! You can find this recipe on All Recipes! A nice raspberry vinaigrette is just the thing for a spring-time salad. 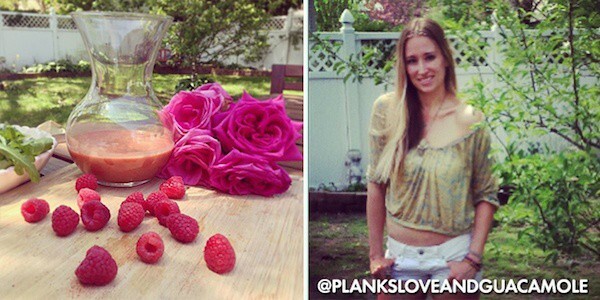 For a light, fruity Whole30 salad dressing, try this recipe from Instagram user @planksloveandguacamole! Easy. With just a few simple ingredients, this recipe is quite easy. If you can't find raspberry wine vinegar, normal wine vinegar will serve just fine. To form, just put ingredients together in a good processor and you're all set! I'm pretty crazy about asian salad dressings - sprinkle some of this on some chopped lettuce, slivered almonds, and sliced mandarin oranges - you've got yourself an easy and tasty salad! Also try mixing this dressing on your homemade burrito bowls or cauliflower fried rice for an asian spice zest. Easy. This recipe features a fairly short ingredient list, and making the dressing simply requires tossing ingredients in the food processor. You can find this recipe at Life Made Full! 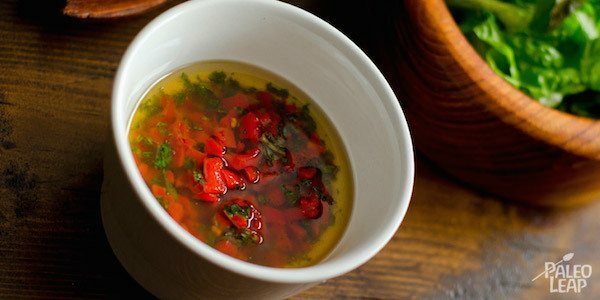 This spicy chili salad dressing is perfect for those who want a little extra kick on top of their Whole30-friendly salad. The recipe requires roasting and peeling peppers, so it's a little more labor-intensive than other recipes, but from spice fans it's a must-have. Hard. 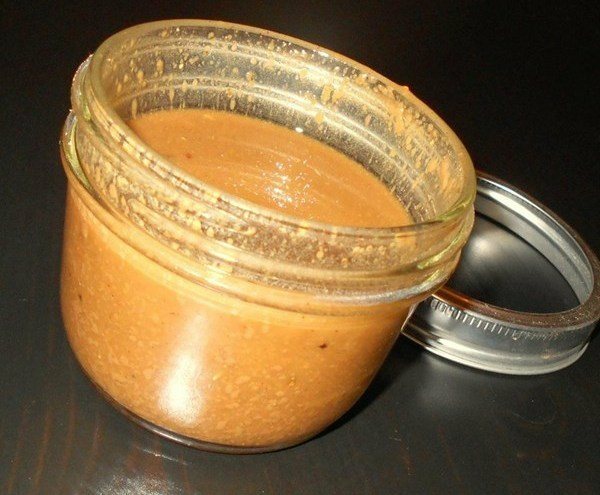 While this recipe is very do-able, it involves a lot of extra steps that simple salad dressing folks may rather avoid. The red chilies must be put under a broiler to roast, then should be wrapped in plastic wrap to be steamed so that they can be peeled easily. Chilies must then be peeled, have seeds removed, and be chopped before using. 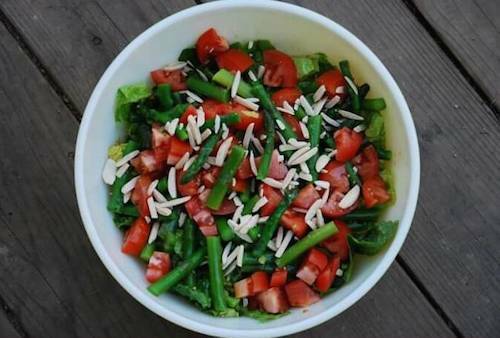 You can find this recipe on Paleo Leap! This chipotle dressing is great for salads, but it can also be used on DIY burrito bowls or nearly any dry-ish meal that could use a little extra flavor. 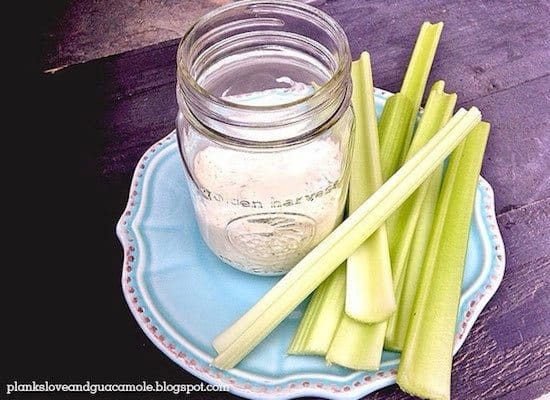 Try using it as a veggie dip as well! Medium. Once you have the ingredient, you combine them in a bowl and slowly add in the water until the dressing reaches the consistency you want. You'll also need to have Whole30 mayo on hand already. Learn how to make Whole30 mayo yourself here. You can find this recipe on Fast Paleo! Caesar salads (and their dressings) are real fan favorites. While croutons and cheese are out, that doesn't mean you can't still whip up a fantastic Whole30 caesar dressing and spread it on any salad you see. This recipe feature anchovies - in vein of the traditional caesar salad! Medium. To form this creamy caesar dressing, you'll pulverize ingredients in a food processor and slowly drizzle in the olive oil to emulsify (and then the coconut milk follows). Do you have any other favorite Whole30 salad dressings you want to share? Add your favorites in the comments! I started Whole30 on New Year’s Day and I feel a change already. The swelling in my knees hAve gone down considerAbly. My sugar cravings are gone. I miss bread though. That’s great, congrats! Keep up the great work! @ Lou Ann Whole Foods sells a compliant dijon mustard! Know chocolate has sugar in it…..is it best to eliminate it at least for the 1st 30 days?…..maybe small amounts later on? Not dumb at all! This recipe isn’t of my creation, but I feel pretty confident they are referring to raw egg. Cooked egg wouldn’t work out too well! I was glad asked this, I was wondering the same thing! I don’t think I can stomach a raw egg! I notice a few of these dressings (ranch and raspberry vinaigrette have wine vinegar. So, not Whole30… right? It’s OK to eat raw eggs? I won’t get sick? This isn’t my recipe so not sure what to say. Looking ok the web, it looks like it’s not unusual for homemade salad dressings to contain raw eggs. However, you’ll want to use pasteurized eggs and serve to people who are pregnant, elderly, children, or infirm adults. The ranch recipe saved my life on my first week of the whole30. I ate the egg raw. Today, I looked up online, how to pasteurize eggs, and it was super easy, so I did. I couldn’t find pasteurized eggs at any store near me. Thank you for the quick response, I look forward to trying the other recipes too. No problem! Glad it worked for you. I’ve never eaten raw eggs myself so I understand the hesitation! All egg products sold in grocery stores in the US are required to be pasturized. Would u mind sharing how you did the egg pasteurization process? Hey Judy – check out these instructions on how to pasteurize eggs from She Knows – it’s pretty easy! It’s just a matter of heating up the eggs to a certain temperature. I dont drink coffee and water with breakfast just seems bland. Any other drink suggestions?? Seltzer water is a nice option! Or you can try kombucha. We also have a whole article about Whole30 drinks you may want to take a peek at. I would like to make the balsamic vinaigrette. Can someone please recommend a whole30 compliant whole grain mustard brand? I have seen sugar in the ingredients and so wondering what one was used. Thank you! Do you have any information on Cafe Rio restaurant. On average how long after being made is the salad dressing good for? It really varies. Maybe 1-2 weeks?